Students investigate major causes of the rise and expansion of the Roman Empire including the army, the slave economy, and the road system. They learn about and evaluate several Roman emperors of the era. 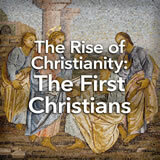 Finally, they identify and describe the Pax Romana and evaluate it. In this experience, students investigate major causes of the rise and expansion of the Roman Empire including the army, the slave economy, and the road system. 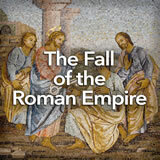 They learn about and evaluate several Roman emperors of the era. Finally, they identify and describe the Pax Romana and evaluate it. This experience contains a lot of content. You may choose to teach it over two sessions in order to spend adequate time on the various elements of the early Roman Empire. 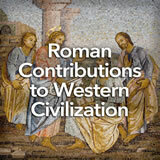 Describe the social, political, and economic development of the Roman Empire. Explain the role of slavery and the significance of citizenship in the Roman Empire. 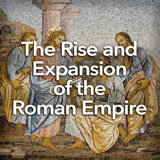 In this experience, you’ll learn how the Roman Empire grew to become one of the greatest powers in all of ancient history. If you like to shop, you would have loved the Roman Empire. The city of Rome had a multi-story covered mall with 150 shops and offices, named Trajan’s Market after the emperor who had it built in 107–110 C.E. Look at the photographs of Trajan’s Market. What does Trajan’s Market suggest to you about the Roman Empire? 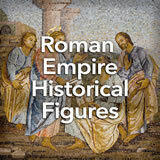 Interested students will enjoy a visual tour of ancient Rome at Visualizing Imperial Rome. Both the ancient city and the modern computer graphics are impressive. The Complete List of Learning Experiences in Rome and Christendom Unit.